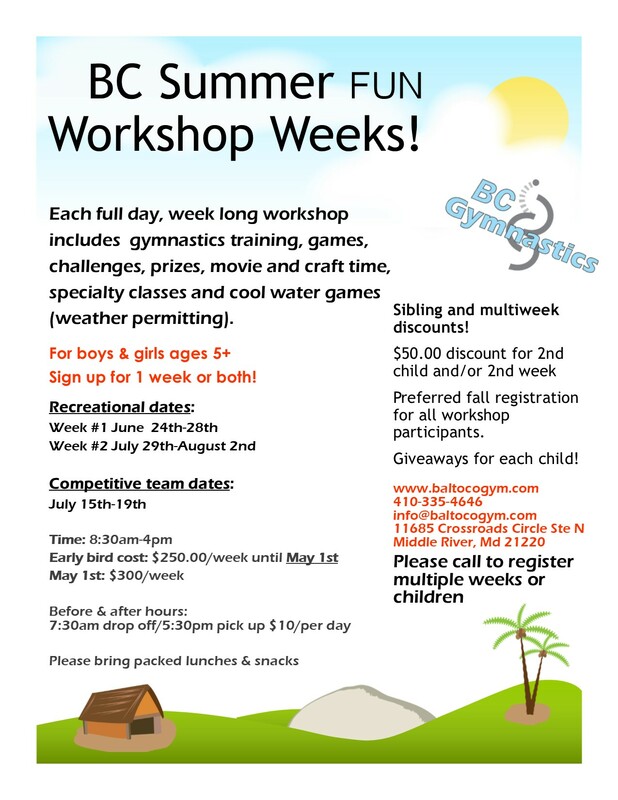 ***Time is running out on the early bird rate for the Summer Fun Workshops! Register for events by using this link to our events calendar. Please register for events over the phone OR in person at the gym to receive your member discount. Buy 5 events-get a 1 hour event free!